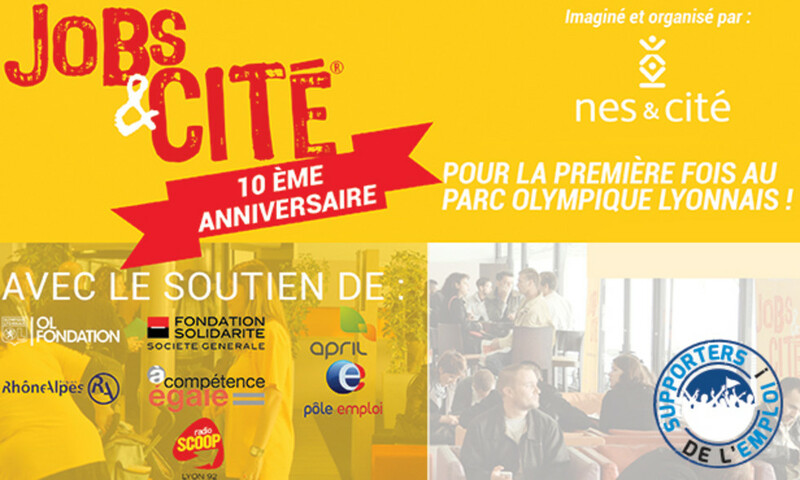 Wednesday April 20th took place the 10th “Jobs&Cité Stadium” employment forum, gathering companies and candidates in the Parc OL lounges. Olympique Lyonnais is really engaged on the employment thematic and registers each year for the program “Supporters of Employment” launched by the LFP and the FDJ since 2013. The results of this day is very positive in terms of crowd (817 candidates), but also regarding to the adequacy between the companies’ needs and the candidate profiles: 360 second interviews have been programmed, all companies comprised, and more than 60 recruitments are yet realized! Numerous candidates hurry up at the stadium entrance to access to the lounges: men and women, young and seniors, families, etc. A mini-resume place, installed in the “Club des 100” allow every candidate to prepare their resume on a unique format to guarantee chance equality. Jobs&Cité teams, headed by their President Abdel Belmokadem, welcomed, guided and encouraged every candidate. Recruiters and candidates were installed in the presidential lodge, with a stadium view, for less formal and less intimidating interviews than before. Follow the OL Fondation news on Facebook and Twitter !